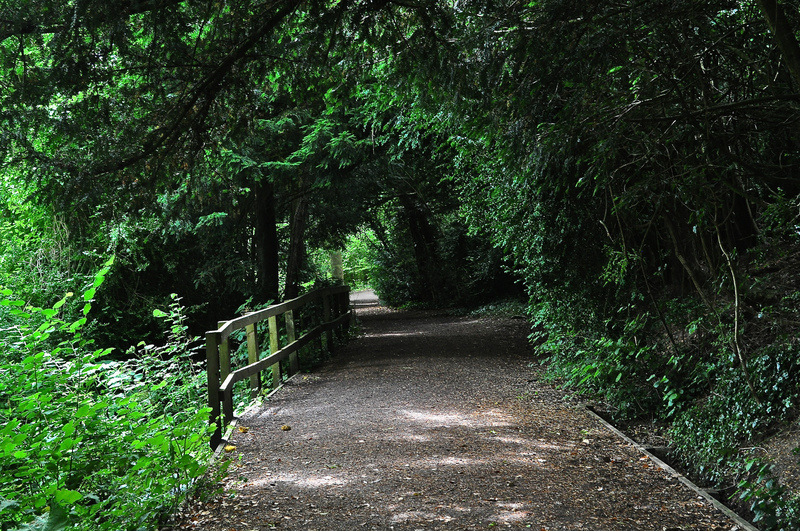 Agatha Christie & the Mystery of Surrey’s Silent Pool! 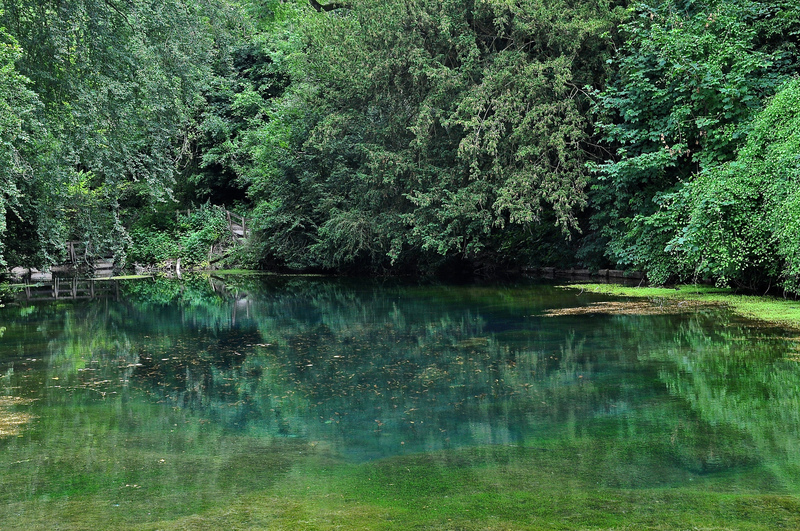 For this second week’s post, we continue the watery theme with a visit to The Silent Pool, Shere, just outside of Guildford. I had no idea this was opposite Newlands Corner otherwise I would certainly have visited sooner! 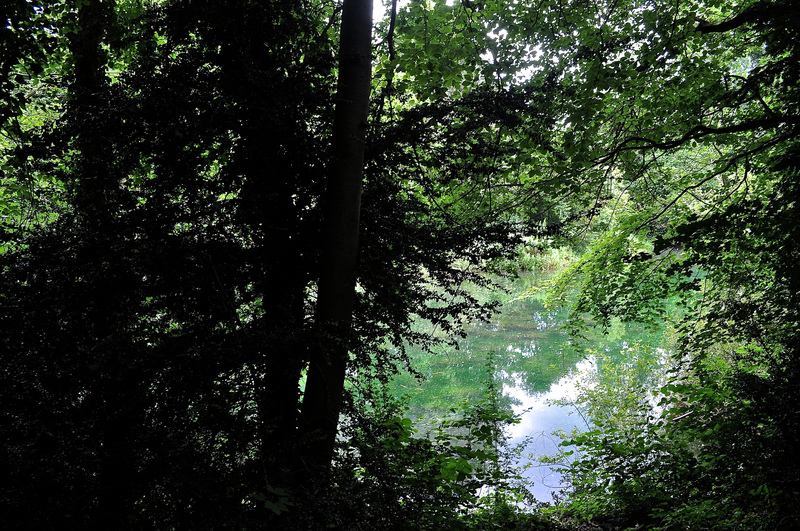 Due to the bad weather last year, the walk around the Silent Pool is somewhat curtailed at present, pending restoration, but it’s still a rather mysterious yet alluring shaded place to visit in summertime. What is it you might ask? 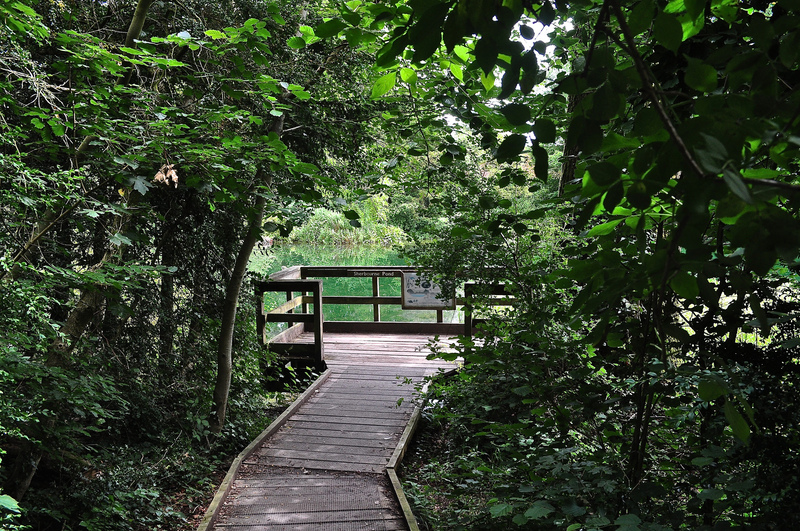 Well, in effect It is a spring-fed lake at the foot of the North Downs, managed together with Newlands Corner by the Surrey Wildlife Trust, within the privately owned Albury Estate. It was probably an old chalk quarry fed by underground streams in fact. The outflow from Silent Pool runs into a second, adjacent, lake, Sherbourne Pond created in the mid-seventeenth century. 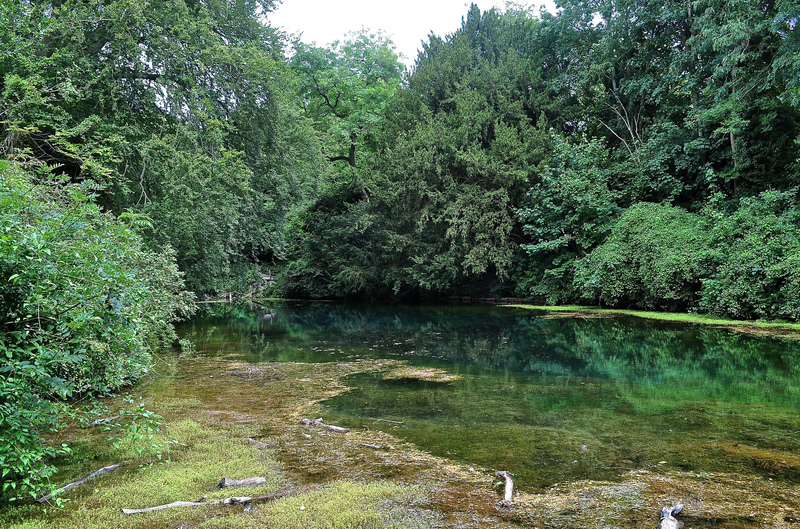 Much admired by poet Alfred Lord Tennyson, the Silent Pool Spring exhibits a blue opalescence characteristic of chalk spring-fed ponds. What drew me however are two stories I came across which vouched for its reputation. The first is a tale purported to be about bad King John. Apparently a young maiden, daughter of a woodcutter, was bathing in the lake when a rider, purported to be King John, pursued her into the depths of the lake. Her brother, who couldn’t swim, tried to save her as she went deeper into the lake to escape her pursuer but both siblings sadly perished. Apparently a form thought to be the maiden can still be seen at midnight. The second relates to Agatha Christie for it was here, in the car park, that she famously disappeared for 11 days. She left her car with lights on and filled with personal effects here in December 1926. Amidst a public hew and cry, everyone tried to find her, scared that she might have fallen victim to foul play. Sir Arthur Conan Doyle even asked a medium for help (!) and the crime writer, Dorothy L Sayers helped in the fingertip search of the Silent Pool. 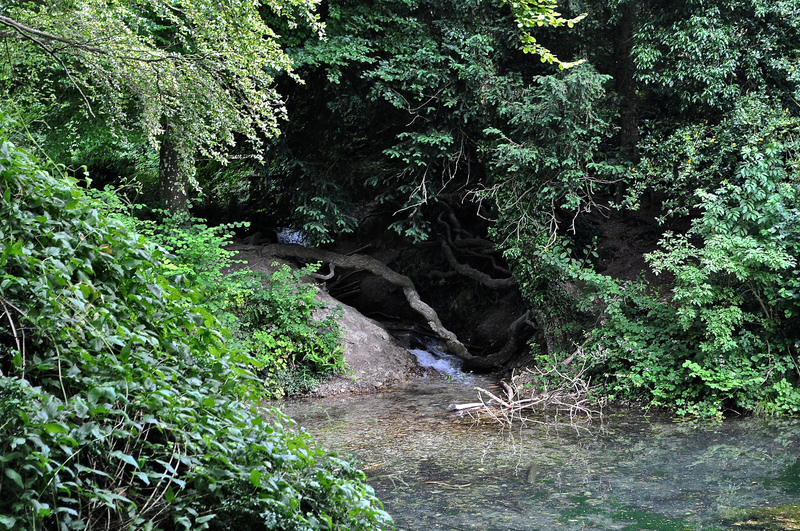 In the event, she was found in Harrogate, reportedly suffering from the mental anguish of her husband’s adultery with a lady from nearby Shere – close to the Silent Pool.